(by Mark Molloy, London’s Daily Telegraph) – An Australian zoo has issued a rather unusual appeal for members of the public to help catch one of the world’s deadliest spider species. 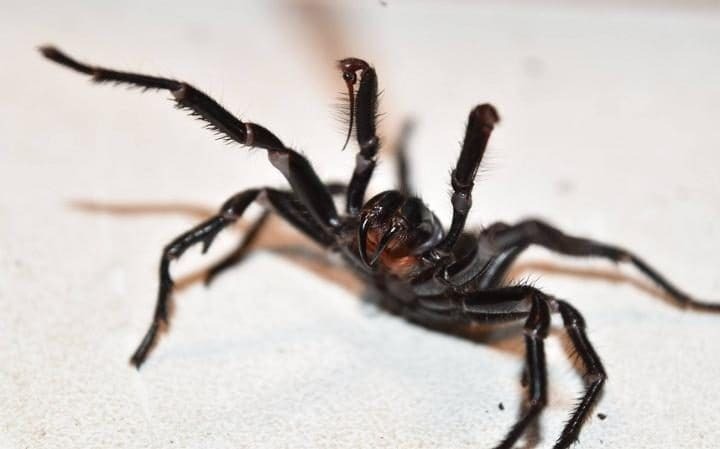 The Australian Reptile Park in New South Wales urged people in a Facebook appeal to trap funnel-web spiders instead of killing them. Experts from the park regularly milk the spiders for their venom, which is then used in the production of anti-venoms to help save snake and spider victims. “It’s funnel-web season but instead of killing them, we need the public to catch them so they can be a part of our venom milking program!” the park posted on Facebook. “We need spiders to keep saving lives … only responsible adults should catch funnel-webs to assist the program,” they added. Head of Conservation and park manager Tim Faulkner demonstrated in the video how to safely catch the spiders using a glass jar and a ruler. “We milk funnel-web venom to supply CSL (Commonwealth Serum Laboratories) in Melbourne so they can make the live-saving anti-venom,” he explained. 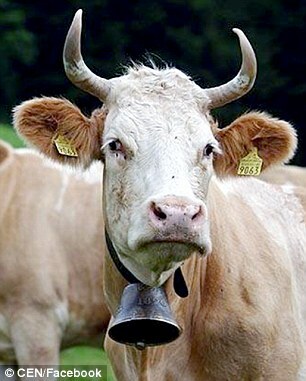 (by Lauren Steussy, NY Post) – An animal-rights activist who campaigned against the use of cowbells in a quaint Swiss village is getting her comeuppance, thanks to a few peeved village residents. There’s surely at least one cowbell enthusiast who would beg to differ. Holten moved to Switzerland from the Netherlands when she was 8 years old, and now has two children who are Swiss nationals. She was previously denied citizenship in the village, whose residents have a say over who should be allowed in, according to Swiss law. Holten, though, isn’t letting her being turned down get in the way of important causes like freeing cows of bells.